Let’s go back to Summer Camp! I went to Camp Camp for the first time last year with my partner. I wasn’t sure what to expect but I really felt like a kid again! I tried the adventure course, built a model rocket that really flew; tied dyed 2 tshirts, learned to play guitar and went to my first barn dance! I played games, canoed, swam and loved the lip sync show, the movie night dressup and I got to fave fun with all these amazing people who came from all parts of the country and the world. I have been to womens music festivals and to womens week in Ptown but this… this was the best!! Its community!!! 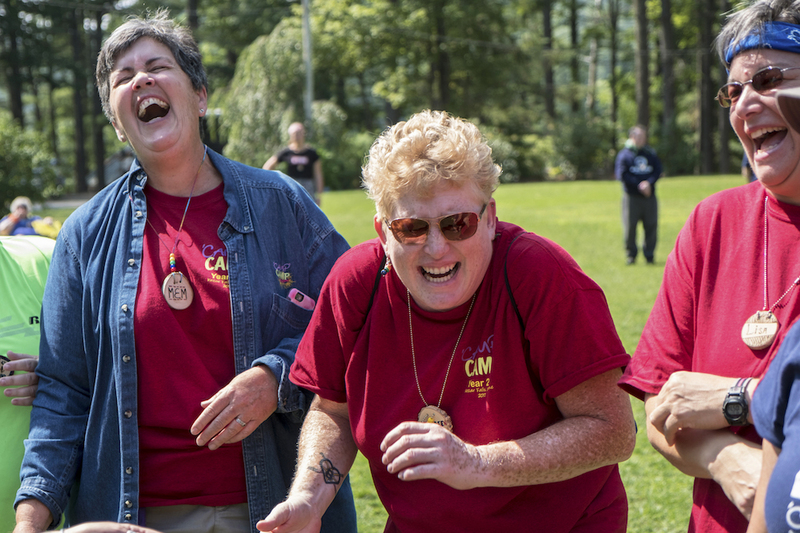 And I can’t wait to go back in August to be with my new friends and family!… There is nothing like Camp Camp!